Welcome home. 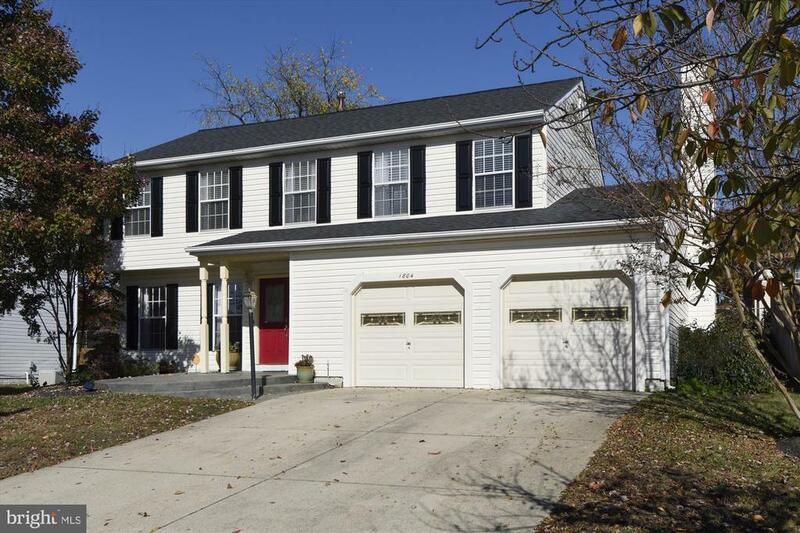 This three level colonial home is located in The Provinces subdivision of Severn just two minutes to Fort Meade. Inside youll find the main level with crown moulding, hardwood floors and luxury lighting throughout, double door entry to an elegant foyer, formal living room, dining room with bay window, beautifully remodeled kitchen with granite counter-tops, stainless steel appliances and a breakfast bar, separate breakfast area that opens to the family room with built-in entertainment center over the fireplace and Andersen French door entry to the private deck with gazebo, and a powder room completes the main level.Upstairs, youll find four spacious bedrooms including a master bedroom with en-suite bath with ceramic tile and dual sink vanity, and walk-in closet with custom closet system. Three additional bedrooms are generously sized, and share the full hallway bathroom that has been remodeled with ceramic tile detail. The finished basement offers a recreation room, media room and office plus a laundry room with additional storage and a second half bath. Backyard has a 2 tier deck with a gazebo and a stamped concrete patio. Perfect for a lower maintenance yard with entertainment space! Come fall in love!